If the next gen Grand Wagoneer is going to be priced around $100,000 then I may as well get a nicely restored older model or something that just needs a bit of elbow grease. 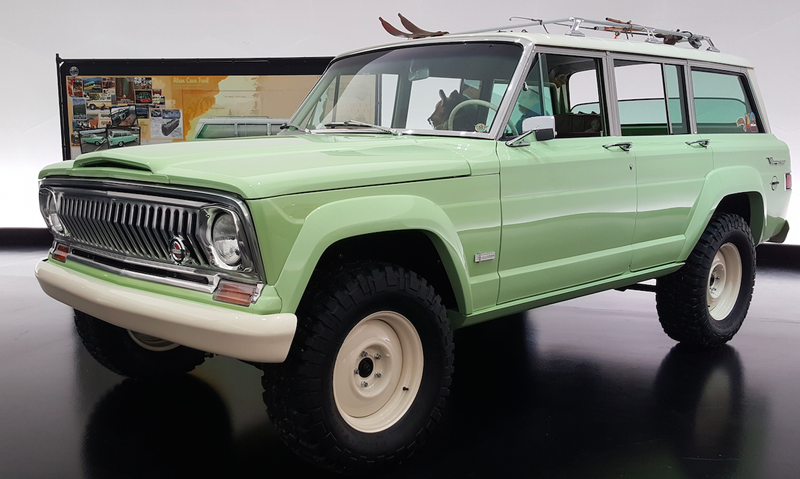 Maybe this fine specimin, a 1965 Jeep Wagoneer with a Hemi V8 engine. No idea how much it costs, but even at around $100k, at least you'll be getting a V8 monster. Yeah I saw all these Jeep concepts from the Moab Safari, and this is one serious restoration. Not a huge fan of the color, but I know its a representation of what was available at that time. I have a feeling that his Wagoneer will be a good bit more powerful than what Jeep brings to market with their new 'luxury' model. After seeing a teaser of the new Bronco it seems like some of these classic things like the color scheme above just might live on. Can't wait for the reveal! 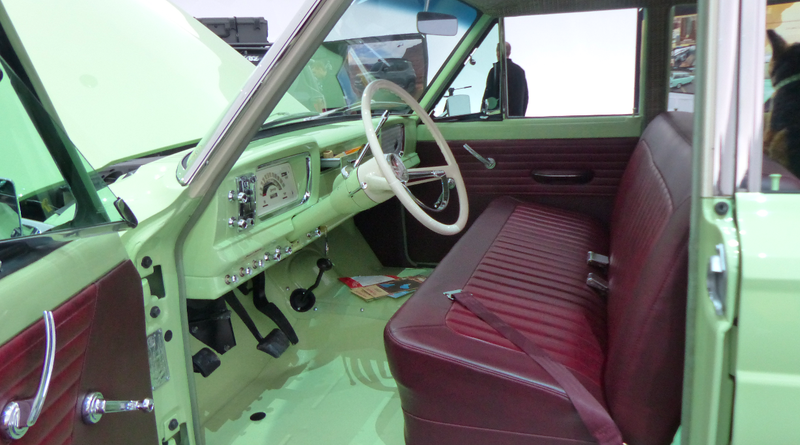 Hopefully the next Wagoneer carries on enough classic vibe to it. David Tracy is known for his wrenching on Jalopnik and one of his projects was an $800 1986 Jeep Grand Wagoneer that saw 12 years of neglect. The brave soul fixed that sucker up and took it on a 3,500 miles trip from Michigan to Moab and back. Not sure if it's a testament of his wrenching skills or just how beastly the old Jeeps were built to be. Seems to be performed surprisingly well off road as well. And that's the perfect example of what a Wagoneer is meant to be. Rugged, practical, durable and built to last. Not this $100k+ premium nonsense that Jeep seems to be basing the redesigned model around. There better be more changes to the body than what we've seen in leaked images of the Commander, because it looks like everything else that Jeep is already putting out. I'm hoping Jeep will release a bare bones Wagoneer after the fully loaded luxury models have been on sale for a while. I just can't justify a six digit price tag for a wagon even if it is from Jeep. All we really need is a good powertrain and that Wagoneer body. The aftermarket will take car of the rest. It's almost like they don't care where the nameplate originated from, and they are just using it as a sales tactic. Jeep already unveiled the Grand Commander at the Beijing Auto Show and low and behold its a longer Cherokee. In fact the Grand Cherokee actually has a 4 inch longer wheelbase over the Commander, which makes absolutely no sense imo. Seems like more sense to buy a nice restored GW 1985-1991 and save tens of thousands $. I will have mine finished restoration soon and up for sale for under $30K. Why buy a new 2020?